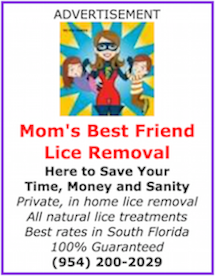 This page is a comprehensive list of Florida lice removal professionals. Some of these businesses are actual treatment centers, sort of like hair salons. Kids can watch videos while professionals comb lice and nits out of their hair. Other companies will travel directly to your home. They bring their own equipment to treat and remove head lice. Please contact these businesses directly for further information. There are so many providers to choose from, particularly if you live in South Florida. 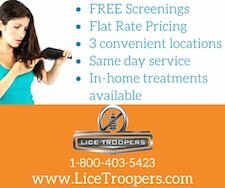 Take a look at our page addressing how to evaluate and select a lice removal service. Know about a business in Florida that needs to be included on this page? Please let us know using the form just below, and we'll update the database quickly. Thanks for helping us get the word out!